I'm in love LA Splash polishes. They have an awesome assortment of unique glittery polishes. You can find these at Ulta and on Cherry Culture website. These polishes are stacking up in my collection. If you're a fan of glitter you'll love these too! French Sparkle is a champagne shimmer packed with gold micro glitter. I really like this color. 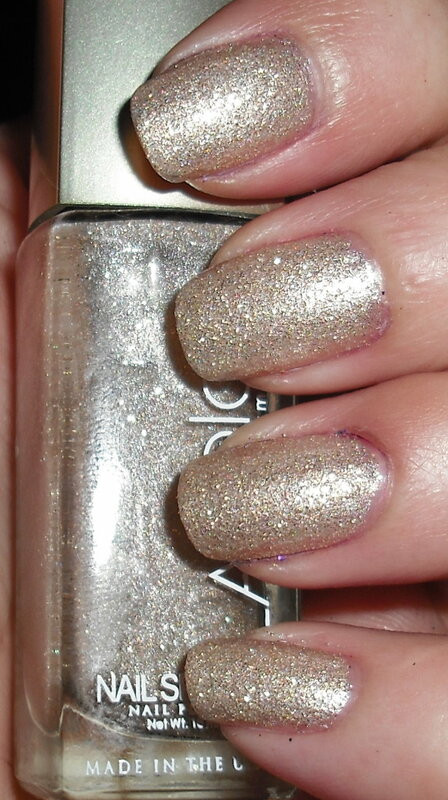 It's a nice simple take on a glitter. It's not loud of overly blingy. It's just a simple clean color with micro glitter. I don't tend to do more simple colors, but when I do it's always nice if they have a hidden shimmer or glitter in them. I like this color for that. It's a nice way to go a little quiet without losing that touch of sparkle. I think this color is definitely unique too. Oooh wow, I really like this too! Think it's going on my Christmas List! PS I miss you- how have you been??? How are the humanities courses? Are you enjoying your semester? That polish is so pretty and looks perfect for the holiday season.